Navigate to Nosto's Integrations and select Dotdigital. When you click integrate, the menu expands and you can set your Username and Password. 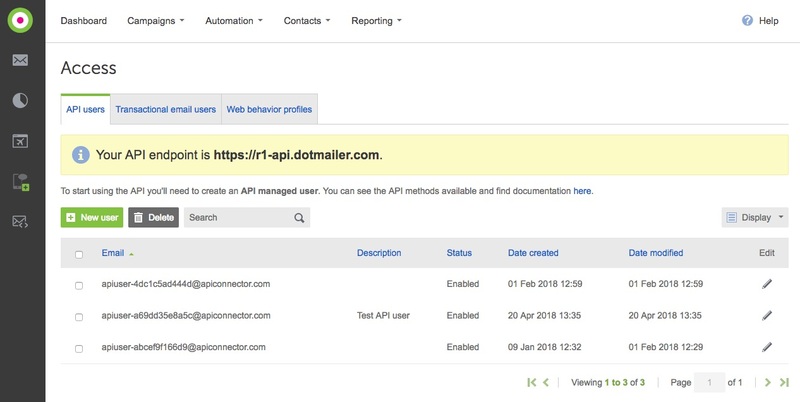 Important: you need to use Dotdigital's API Users information (username & password) and not your Dotdigital's account user information to set up the connection between Nosto and your Dotdigital account. 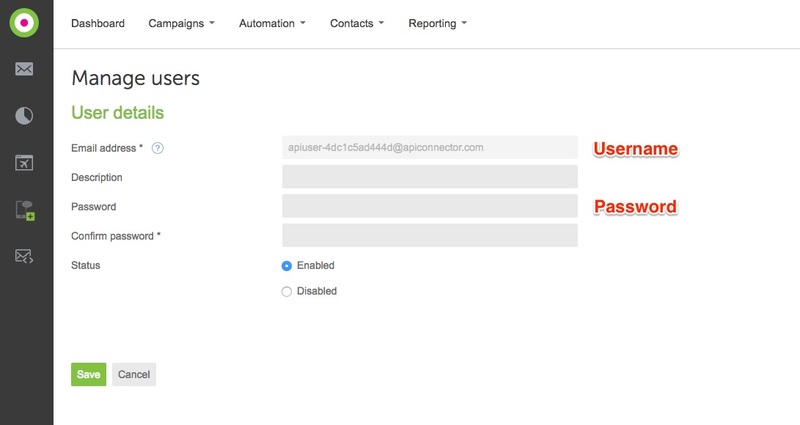 Access to the API User information and you're ready to use both username and password. Note that the email address will be used as a Username within Nosto. Success, you're all set and now your Dotdigital & Nosto accounts are connected. Please find the official Dotdigital Support documentation on how to add users and/or manage access to users here and here. Choose Dotdigital as your email platform/service provider (ESP) from the list. Under visual settings, you can amend some key visual aspects of the widget. The widget will feature a product’s image, name and current selling price and also the title as given in Block title input area. By default, Nosto displays four products in the widget. The final step is to copy the widget by clicking “Copy to clipboard” and by hitting the green button “Save & Activate”. 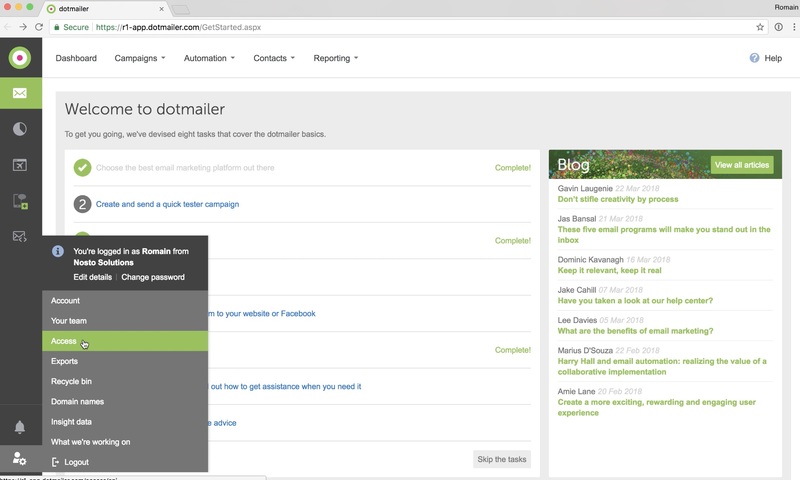 All email widgets are synced in real-time with your Dotdigital account and can be dragged & dropped in the Dotdigital editor. 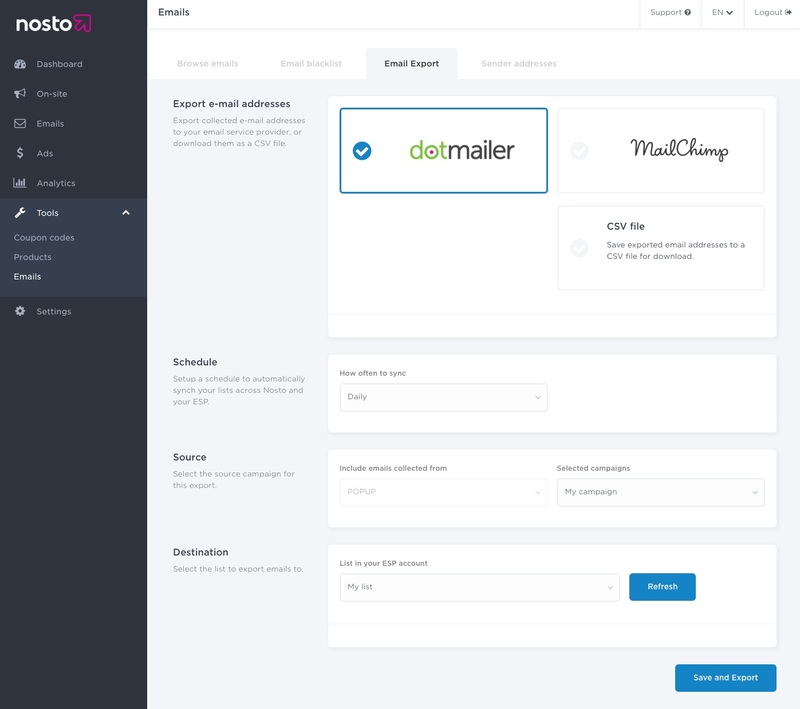 If you are using Nosto's onsite pop-ups to collect email addresses, you can export all collected email addresses to Dotdigital in a few clicks. Navigate under Tools > Emails and select Email Export. And finally select the Dotdigital list you want to target. As you have already connected your Dotdigital and Nosto accounts, all your Dotdigital lists are de-facto available through the dropdown menu when you select a targeted list.